Have you ever been driving down the road and get an overwhelming craving? You know, the one that hits you like a rock each day in the afternoon around 3:00? It must be time for that pesky little habit you just can’t break free from…time for your “daily” soda pop! The surge of sugar and caffeine pumping into your veins seem to help to make the last part of your shift tolerable. Habits are repetitive actions that make us dependent on certain things throughout the day without even realizing their consequences on our health and well-being. Positive and negative can affect us physically, emotionally and mentally. When we focus on changing our habits, we can transform not only our health, but also our happiness and livelihood. 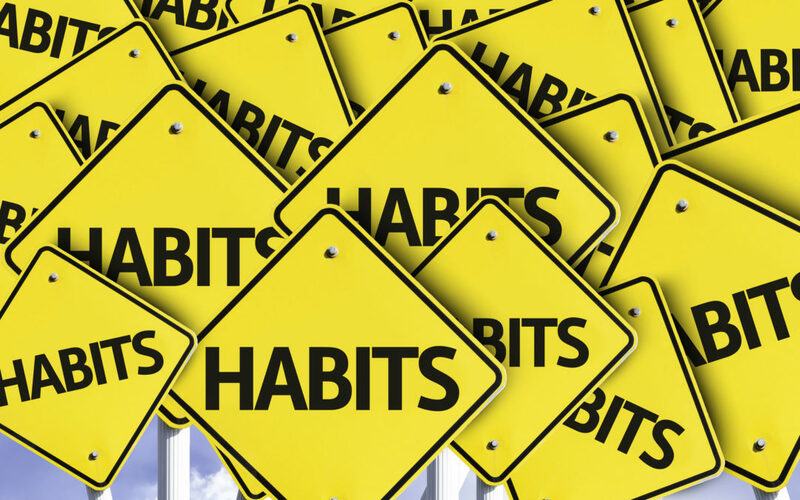 Good and bad habits help shape and form our daily routines. Habits are fundamentally made up of three components: a cue, a routine, and a reward. Cues can be anything (like the smell of fresh baked chocolate chip cookies) and are the as driving force behind sending signals to your brain. Routine is the habit action itself (such as eating the chocolate chip cookie). The reward is the pay-off (that feeling immense gratification from eating the chocolate chip cookie). Changing our habits is not a quick fix program. Over time, habits can get locked into place and breaking free from them may seem like a dreadful task. Unless, of course, you have the keys. It may take days, months, and even years to re-train our brain and gain independence from old habits. No matter how big or small the habit is, it can be a challenging feat to overcome. Behavior modification is a timely process and often can be problematic. But, implementing habit-formation is simple… automaticity. Repeat a simple action consistently, change the routine, and find a satisfying reward. However, this is easier said than done. No matter how big or small the habit is, it can be a challenging feat to kick it. You are what you eat. Start thinking about healthy food as good fuel for your body. When we put “junk food” such as honeybuns, chips, cookies, and hot dogs into our bodies day in and day out, our bodies start to rebel. As a result, drivers are faced with an increased risk for diabetes, hypertension, and obesity. Many times, these types of foods are quick fixes for a deeper issue that needs to be solved (emotional/boredom) without eating to make us feel better. It is crucial to know the difference between true hungers vs. cravings. Are you eating because you are stressed, bored, or anxious? Find the root cause of your eating habits and start changing one small habit at a time. Make it a lifestyle change that you can do for the rest of your life. Your health depends on dense nutrient-based foods. For drivers, this can be a challenging task. You must be organized and plan for foods that you may consume out on the road. Everyone needs protein, carbs, and fats on a daily basis to help fuel their bodies. The types of foods we chose to consume make a huge difference in keeping our bodies strong and healthy. 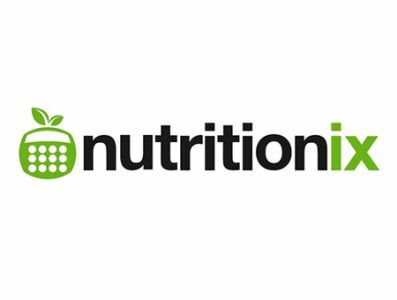 Okay, let’s dig right into nutrition. With protein, it is best to stick with lean sources such as fish, turkey, chicken, and beans. Limit the amount of red meat you consume each week. Protein is the body’s building blocks and also helps keep you fuller longer. Eating the right amount of protein and not over-consuming will help keep you from overeating at meal times. Carbohydrates should make up around 40-65% of your daily diet. Eating fibrous and complex carbs helps fuel your body and gives you energy. You should limit or stay away from simple carbohydrates such as processed foods, white flour, and sugar. These types of carbs can decrease your internal health and increase your waist size. With fats, stick to good, healthy fats such as nuts, seeds, healthy oils (extra virgin olive oil), whole eggs, fatty fish, and avocados. 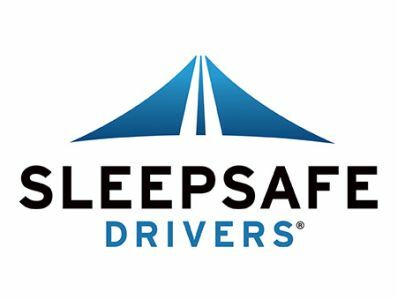 Sleep and fatigue are important safety issues for professional drivers. A good night of restful sleep is crucial to maintain alertness on the job. This gets tricky sometimes for many drivers and at times can be downright difficult. Drivers should strive for developing a regular sleep schedule to make sure they are receiving adequate sleep each day/night. Drivers who change their sleep schedule on a daily basis are more likely to become sleep deprived. When we don’t receive enough sleep, we have a tendency to reach for unhealthy foods and drinks with sugar and caffeine to help us make it through our work shifts. Create a few nightly rituals that help induce sleep. For example, read a book, stretch, mediate, or listen to your favorite music or podcast. Do whatever it takes to help you fall off into la-la land. Scrub and brush on a regular basis to maintain good oral and body health. You will look and feel better when practicing proper body hygiene care. Cleanliness provides and protects us from germs that can make us sick. Proper hand washing could help prevent over a million deaths per year. Not washing your hands can cause diseases or illness, like hand-foot-mouth disease, hepatitis A, shigellosis, and giardiasis. If you have not made hand washing a daily habit before, start lathering up now. Equally as important is good oral hygiene care and habits. Regular brushing will help you to keep a great looking smile, brighter, whiter teeth, and fresh breath. Caring for your pearly whites also helps reduce the risk for heart disease, stroke, diabetes, lung infections, kidney problems, and mouth/gum cancer. Practice good oral hygiene with regular visits to your dentist. Staying on top of your oral health can save you from painful procedures and shelling out money over time. Cultivating healthy habits takes hard work and commitment, but helps improve overall health and well-being. Produce a list of pros and cons to help motivate you into switching a negative habit into a positive one. The visual will keep you motivated and will be a daily reminder of the goal you are trying to achieve. Changing your habits takes consistent routine and some type of reward system. Always start with a small, achievable goal that can build confidence and create more positive changes down the road. Then tackle your larger negative health issues and create new and improved healthy habits.